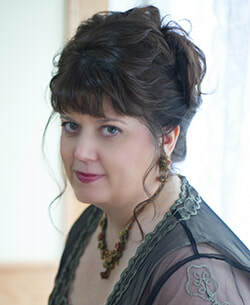 ﻿﻿﻿﻿﻿﻿﻿Christine Trent is the author of the Florence Nightingale Mysteries, as well as the Lady of Ashes historical mystery series about a Victorian-era undertaker. She has also published three other historical novels. Christine's novels have been translated into Turkish, Polish, and Czech. She writes from her two-story home library, where she lives with her wonderful bookshelf-building husband, five precocious cats, a large doll collection, entirely too many fountain pens, and over 4,000 catalogued books. Learn more about Christine at www.ChristineTrent.com.